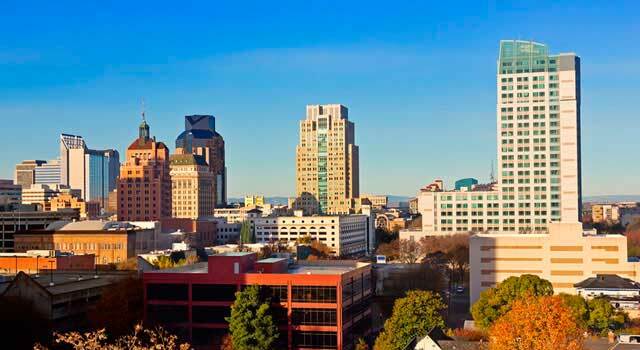 Use this website to quickly find the most important information about the airport in Sacramento, called Sacramento International Airport: Departures, Arrivals, Parking, Car Rentals, Hotels near the airport and other information about Sacramento airport. Plan your travel to SMF Airport with the information provided in this site. Sacramento Airport, known officially as Sacramento International Airport (IATA: SMF, ICAO: KSMF, FAA LID: SMF) is located 10 miles (16 km) northwest downtown Sacramento, in the state of California, U.S.
Sacramento Ariport is located 10 miles (16 km) northwest downtown Sacramento, in California, U.S. In 2017 SMF Airport handled more than 10M passengers. Sacramento Airport has two terminals: A and B and two runways. SMF Airport has direct flights and nonstop flights throughout North America and more destinations with 323 daily commercial flights. Sacramento airport connects with the downtown Sacramento by bus, taxi, rental car and more. Half of the airline travelers in SMF Airport is carried by Southwest Airlines. 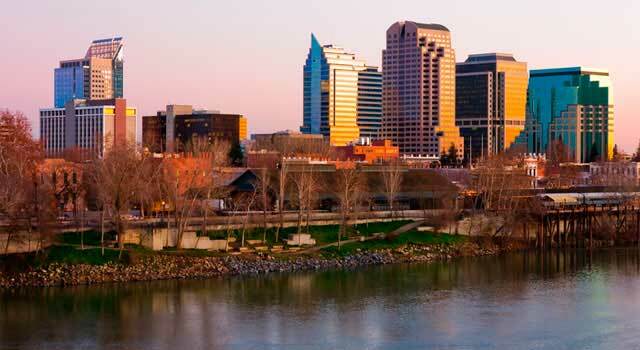 Sacramento airport has direct flights and nonstop flights throughout North America and more destinations as Mexico City. Sacramento Airport has two runways and covers 6,000 acres (22 km). The top ten destinations are US airports/cities being Los Angeles, San Diego, Seattle, Phoenix, Denver, Las Vegas, Orange County, Burbank, Ontario and Portland. In 2017 Sacramento Airport handled 10,912,080 passengers. SMF Airport has 323 daily commercial flights. Sacramento Airport has two terminals: Terminal A and Terminal B, with a total of 32 gates. A free airport shuttle bus lets passengers transfer to a terminal to other. Hosts boarding gates A1 to A5 and A10 to A17. Hosts boarding gates B4 to B12 and B14 to B23. The Sacramento Airport provides passengers a dining and shopping area in both terminals, Terminal A and Terminal B with known brands and restaurants. At the airport there are also some performances and artworks from some artists and many others. 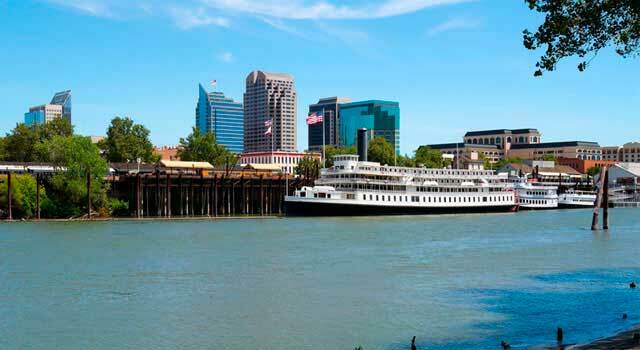 - Taxi: By taxi you can get straight to Sacramento within 20 minutes from the airport. 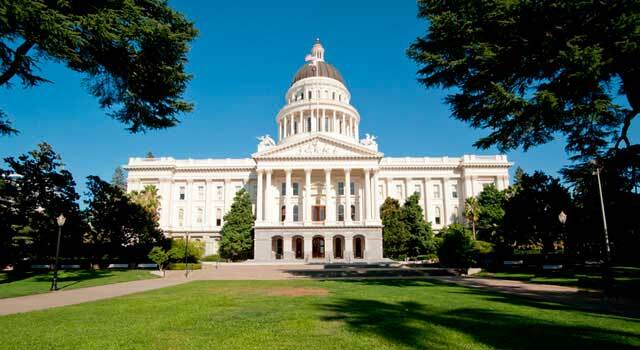 To call for a taxi: Sacramento Independent Taxi Owners Association (916) 444 0008. - Shuttles: The SMF Airport offers different transports. More info. - Rental Car: Located at the rental car terminal on airport.. If you want to get rent a car or get more information, please, click here. 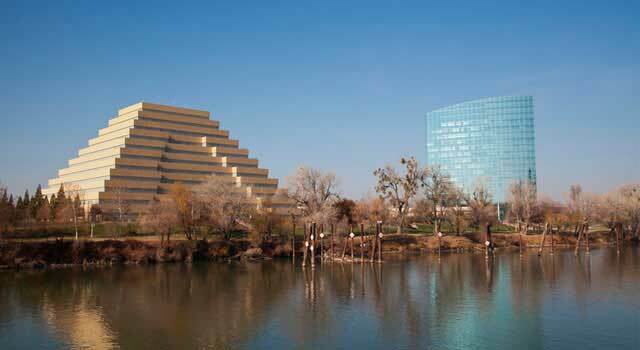 Telephone:+1 (916) 874.0701. Leaving a detailed message about the lost item.